I’m staying at my parents’ beach house this week as the husband was meant to go to China for business and the thought of not running for a week was completely unacceptable. As it turned out, the husband was not required in China and now has a child-free, wife-free week. Not jealous of that at all, no no no…. Anyway, the beach house has been undergoing extensive renovations for a few months. 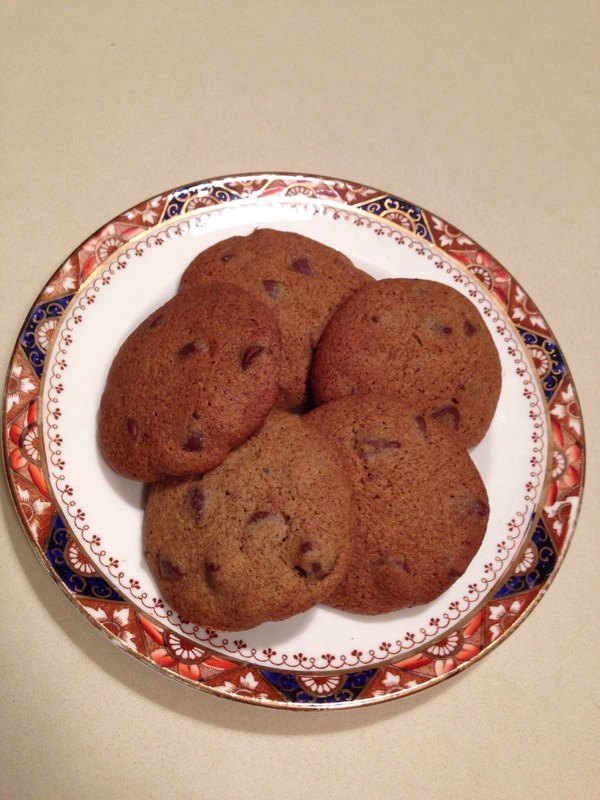 I thought the presence of hungry builders would be a good opportunity to bake and when I heard that one of the builders was gluten intolerant I decided to explore some new territory. I don’t do that much deliberate gluten free baking, largely because I don’t need to, but I am conscious of trying to limit the amount of wheat we consume. 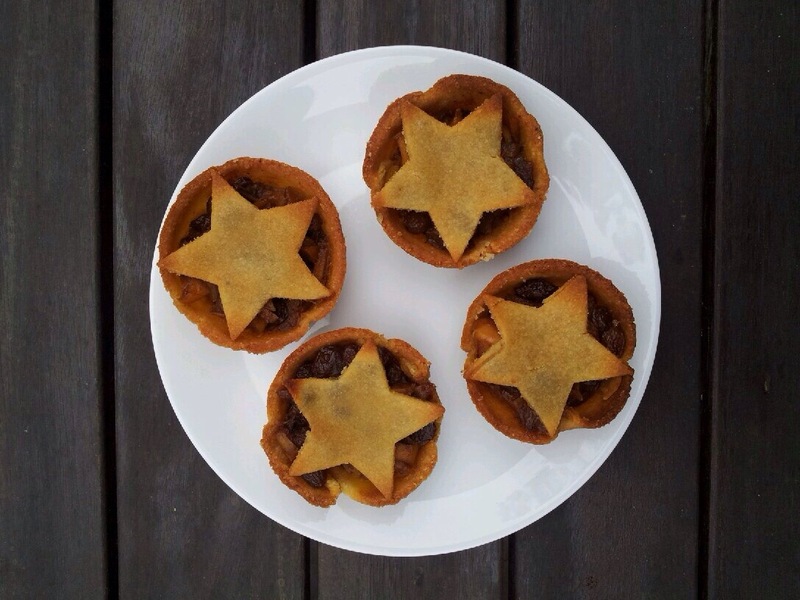 I made two items – buckwheat chocolate chip biscuits using this recipe – and mince tarts using this recipe from the Healthy Chef. The biscuits were very well received, even by my dad, who is very sparing with his praise. Here is a photo of the biscuits (my dad is unlikely to agree to publication of his image). 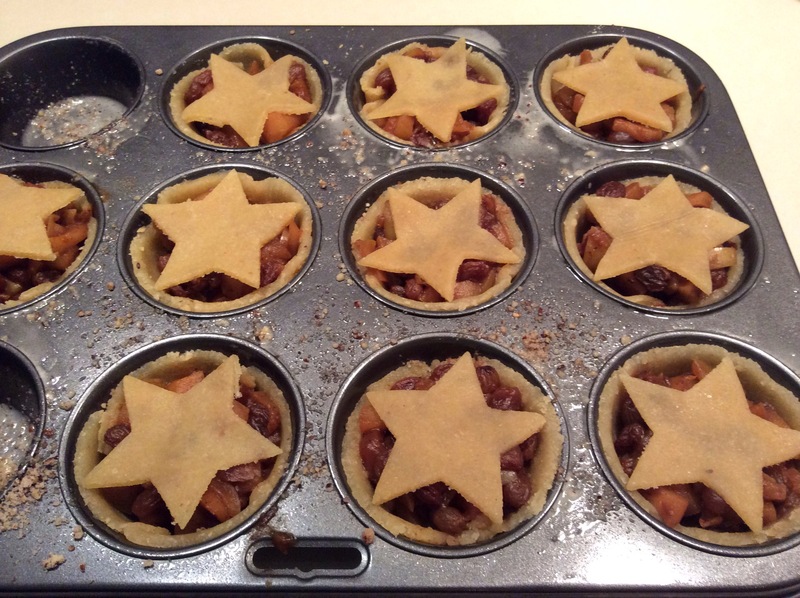 The tarts were less successful I think. 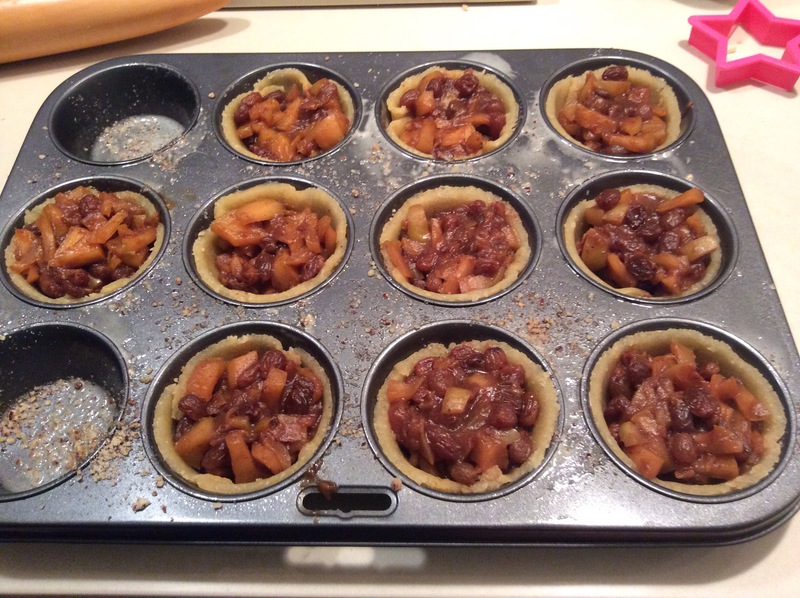 The fruit mince (which I modified by using a combination of orange juice and brandy instead of apple juice) was tasty but the almond pastry was deemed too soggy. 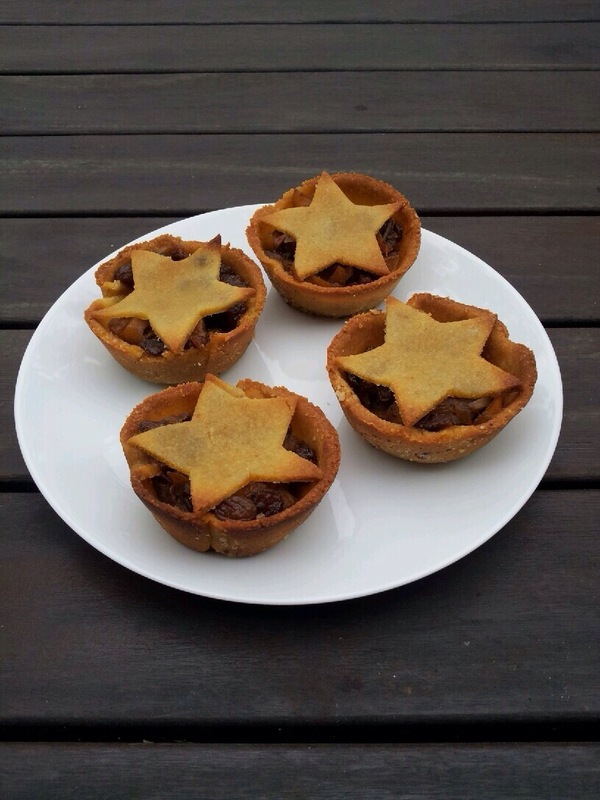 I have a jar of mince left over so will make some more using regular short crust pastry over the next few days. I think they looked pretty though. Perhaps pastry is just not meant to be gluten free? Disappointing but I guess educational.